Happy Motivational Monday! Thank you all so much for your nice comments on my last post. As hard as it was to write about, I knew you would make me feel better, and I do. I stayed extremely busy yesterday and today, which has helped me get right back on track and not dwell on it anymore. Alison was spring cleaning when she came across this shirt she used to wear 80 pounds ago. You can see on the right how tight it was, and now it just hangs on her! 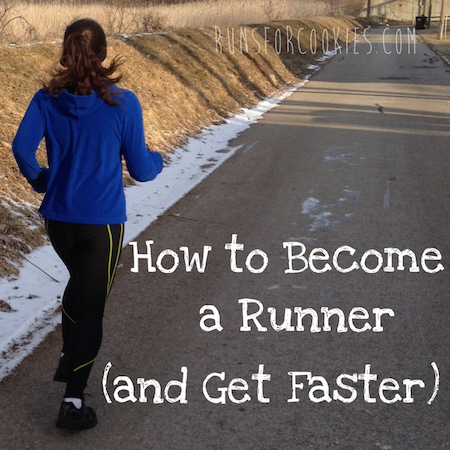 She's training for a 5K, and has stuck with her goal of walking a mile every single day until her race. 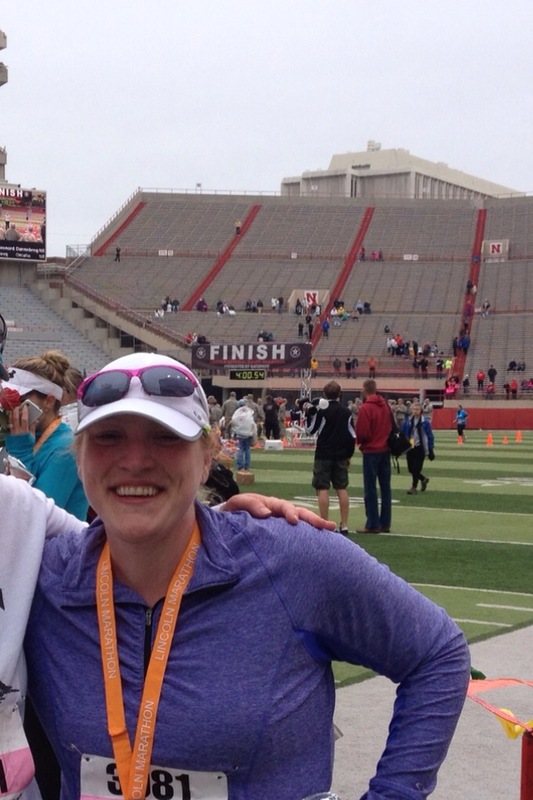 Andrea ran her first 10K (and is now registered for a 15K!) 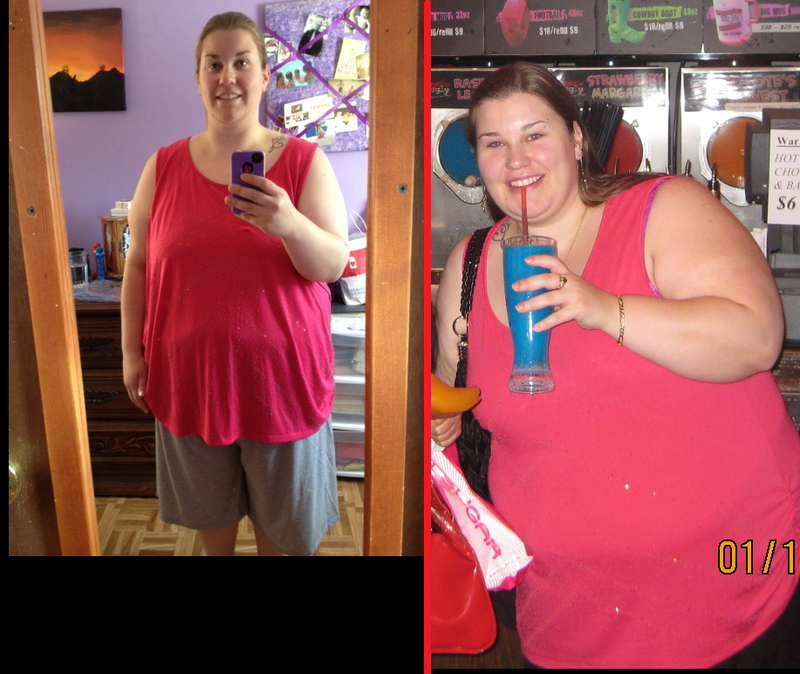 after losing 90 pounds over the last year! Briana ran her first half-marathon! She had her husband at her side, and finished in 2:11. 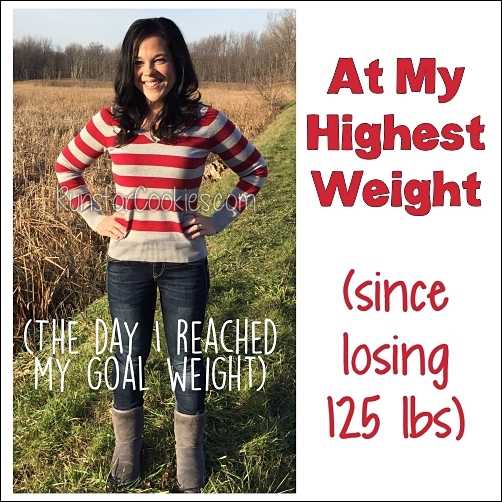 She's down 65 pounds and counting! 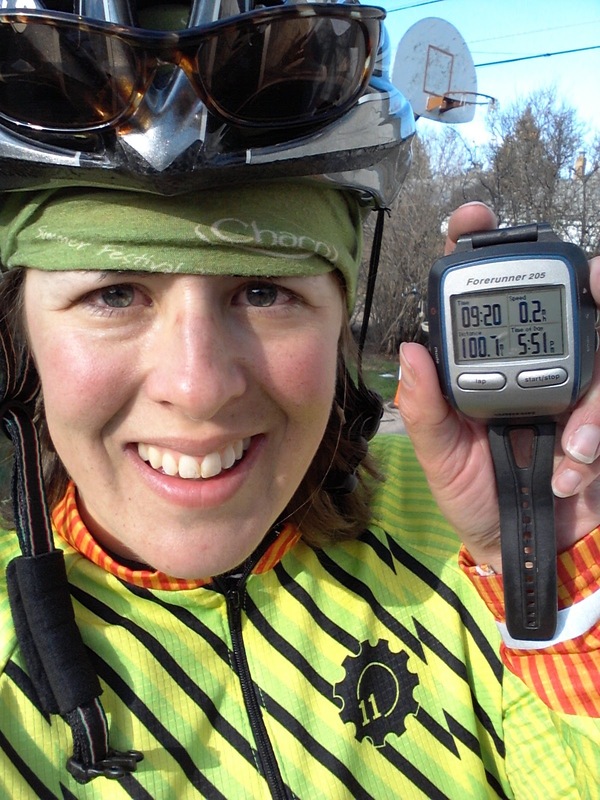 Christina rode her bike 100 miles as part of a fundraiser for Camp Kesem and World Bicycle Relief! She says, "The trick to riding that far? Just keep going. When I struggle, I say, 'Just keep spinning, just keep spinning,' like Dory from Finding Nemo." 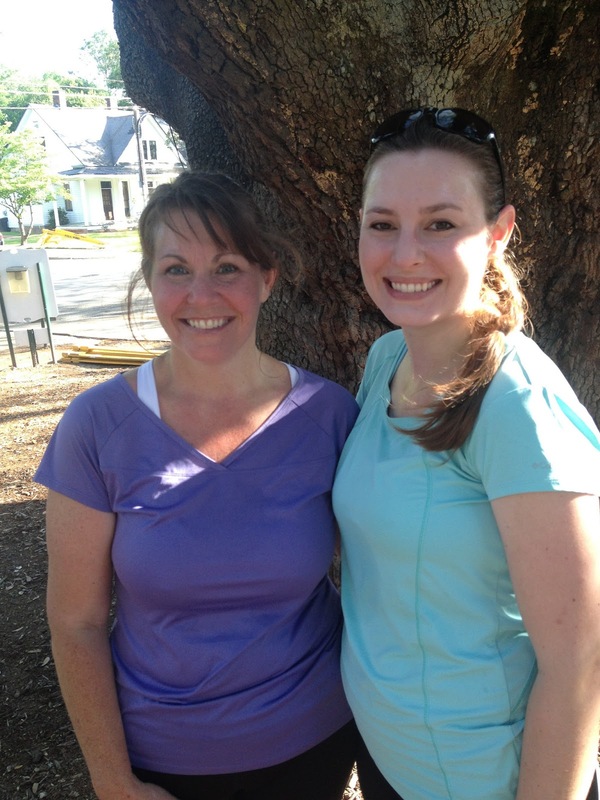 In March 2012, Julie Anna made a goal to run a 5K with her mom and sister. They all ran together, and then this year, she and her mother made a goal to run a 10K together (her sister became pregnant, and had to stop running). 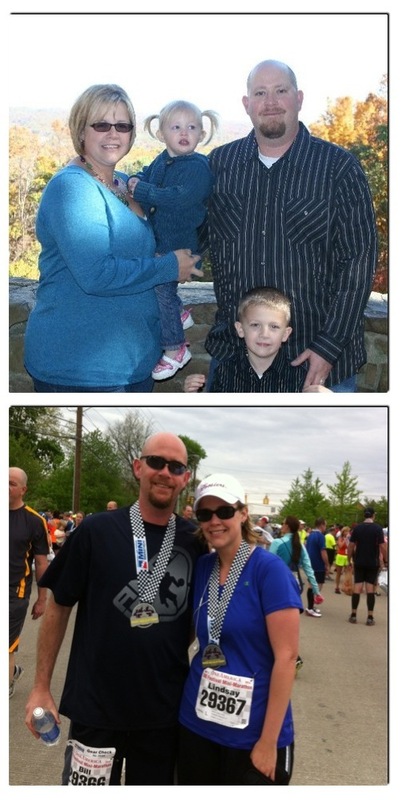 They just ran their 10K, after Julie Anna's mom lost 33 pounds and became quite a strong runner throughout the past year! (Here is the race report) Julie Anna is super proud of her mom. 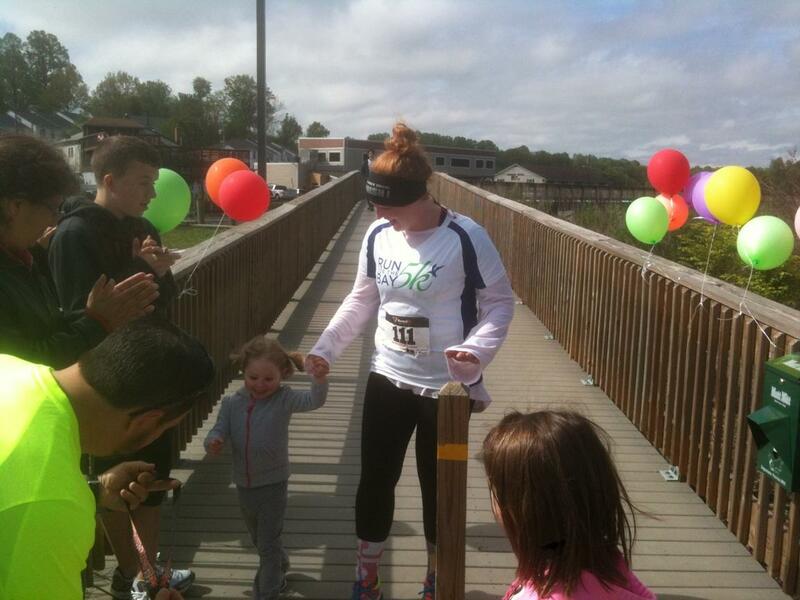 Julie ran a 5K, and then accompanied her three-year old daughter on her first race--a kids fun run! 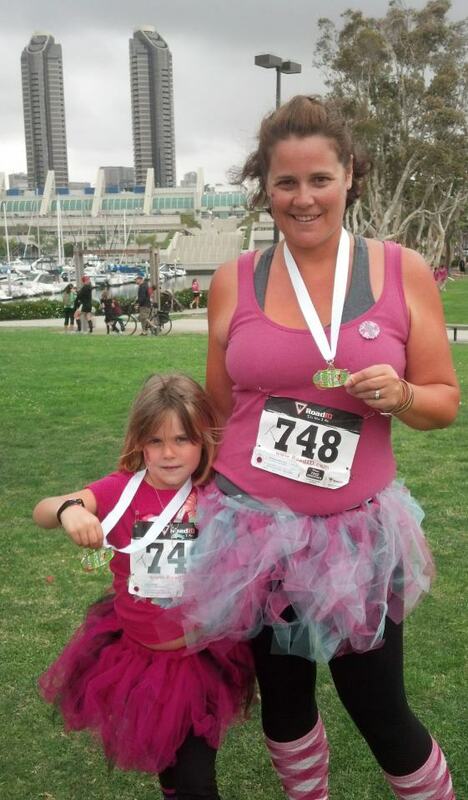 Kelly started running last summer by following the Couch to 5K program, and she just ran her first half-marathon! She was very worried about not finishing in the allotted time frame, and the race shutting down, but she surprised herself with just how well she did. She finished in 3:13:43. 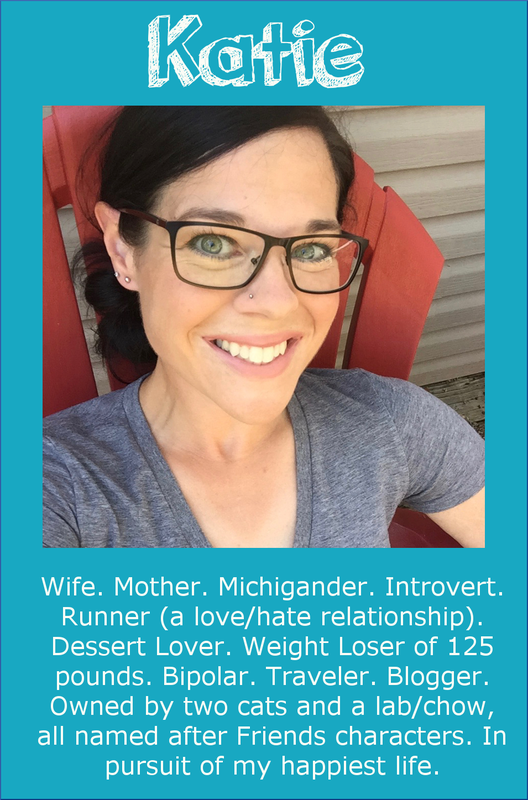 She says, "Running has become this amazing outlet for me to help calm my stress level, lose weight, increase myself esteem all of which makes me a better wife, mother, and employee"
Linda started running almost a year ago to keep off the 25 pounds she'd lost. 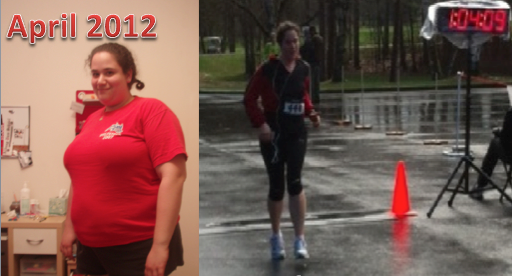 She ran her first 5K in October and has run one or two a month since then. 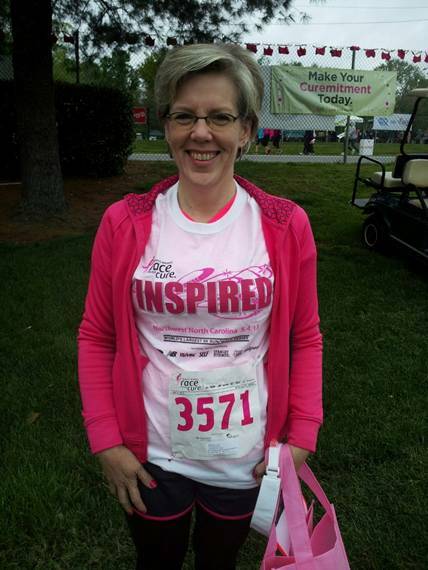 Saturday, she ran the Komen for the Cure 5K, and it was a very rainy, cold race. She is proud that she powered through the first mile that was all uphill--she does all of her training on the treadmill, so she wasn't used to that. She ran the whole way, and felt great! Marcia (left) recently reconnected with high school friend Rosa via Facebook, after not seeing each other for 20 years. 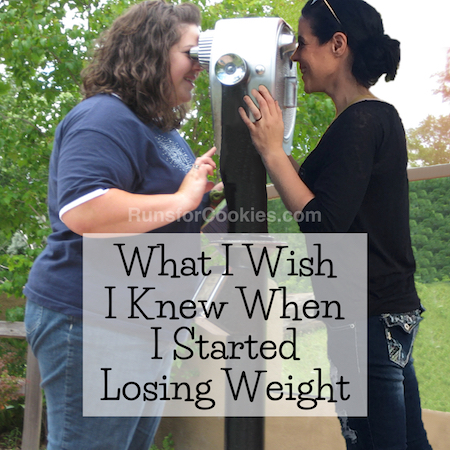 They discovered that they had each lost a lot of weight (Rosa lost 93 pounds, Maria lost 70). 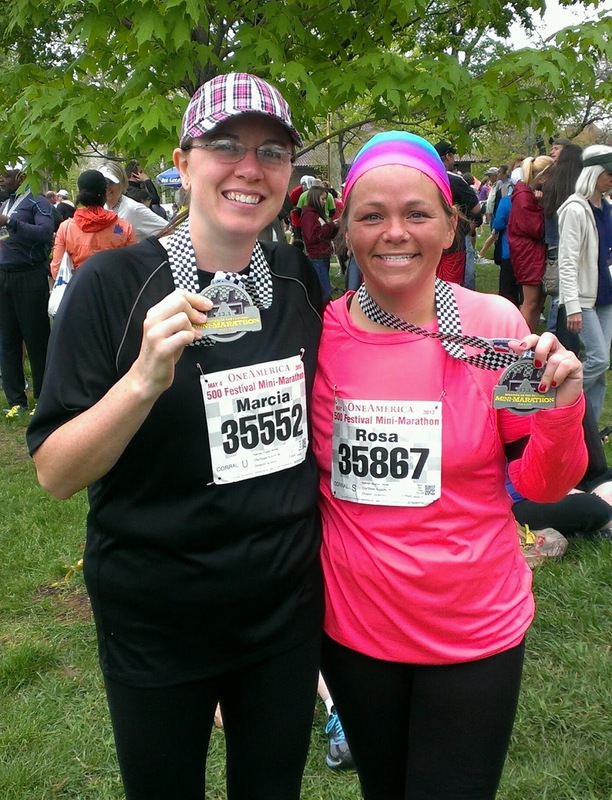 They also discovered that they had each signed up for the Indianapolis 500 Festival Mini Marathon, and were planning to go alone; so they decided to drive there together, and felt as if no time had passed. They both ran a great race and reached their goals! 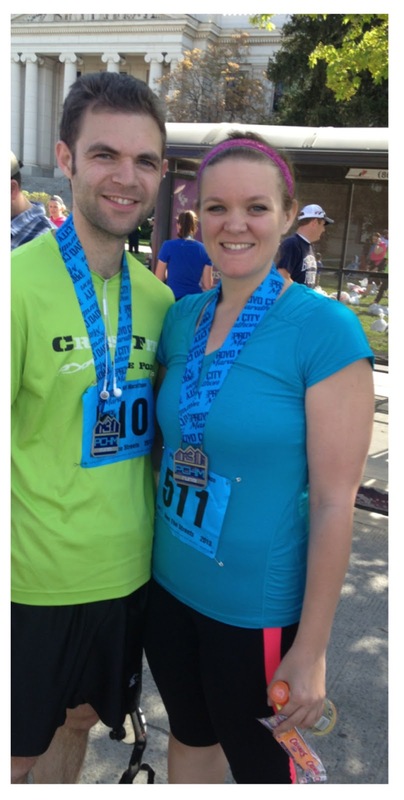 Nicole and her husband, Ben, ran in the American Odyssey Relay (200 miles from Gettysburg to D.C.)! I always look forward to Mondays for this post! 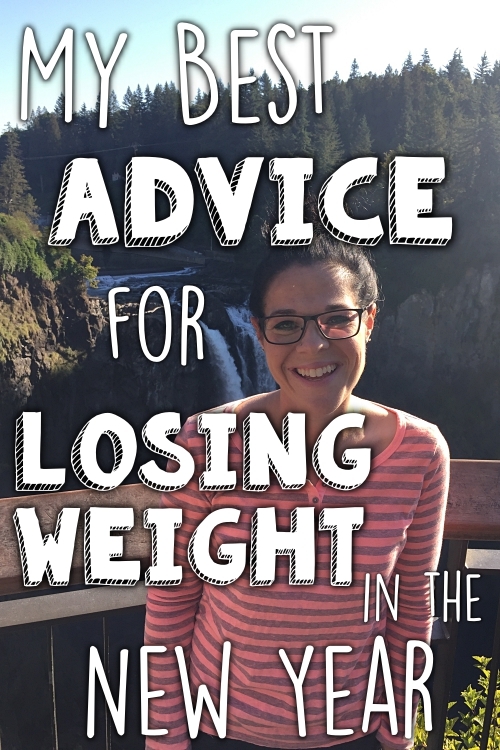 These ladies' stories always get me so excited to keep on working towards my own goals! I love this post. What truly inspirational people. My favorite post! I love seeing other people succeeding because it reinforces that I can succeed too! 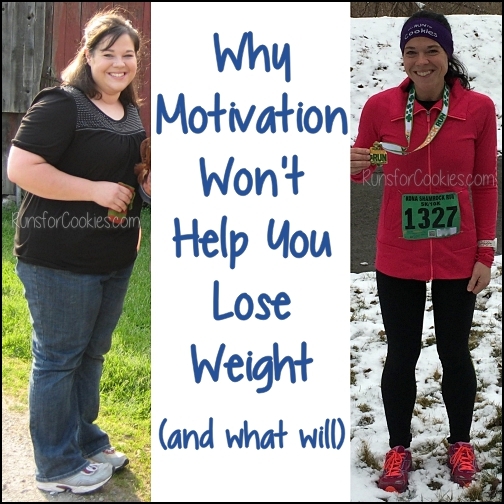 I am new-ish to your blog, and this is the first motivation monday post I've read. Amazing stories and incredible accomplishments! Got me all choked up, especially the husband and wife team. That husband and wife team should get the award for most inspirational story this week! WOW! Awesome stuff! Love Motivation Mondays! wow, talk about motivating!! awesome post!!! I think you said it all when you said "I stayed extremely busy." I know when I'm alone and not doing anything I eat. Sometimes to keep from eating I go shopping and I really can't afford any more of that....so I need to find another way to avoid eating. Any suggestions? Love this :) everybody is definitely very inspirational! WTG on everyone's awesome accomplishments!